Arizona KEY Magazine, serves their readers by connecting them to Tucson’s and Arizona’s most memorable experiences. Through their state-of-the-art online Arizona Travel Guide at www.arizonakey.com, their monthly printed Arizona Travel Guide and their Annual Special Edition Cactus League Spring Training Issue, their goal is to ensure Arizona visitors and locals have the trusted information at their fingertips to ensure memories of a lifetime. 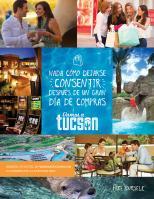 So use the guide the concierge and hospitality desks use online and on your mobile phone (preview HD Video Tours, etc.) and in print (available at your hotel), and enjoy your trip to Tucson and Arizona.